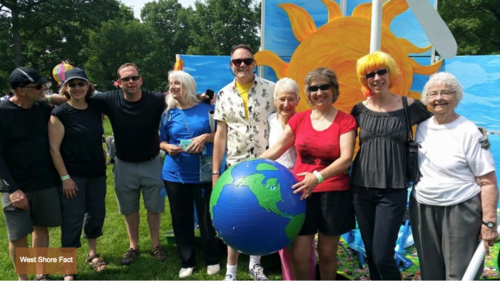 In addition to our general membership which is drawn from more than 45 faith communities, FaCT-Faith Communities Together for a Sustainable Future has a formally chartered chapter called West Shore FaCT, which meets regularly at West Shore Unitarian Universalist Church. FaCT also has two affiliates-- FaCT-OV - FaCT of the Ohio Valley, which meets at the Unitarian Universalist Church of the Ohio Valley in Bellaire, OH and FaCT-Athens in Athens, OH. FaCT-OV is based at the Unitarian Universalist Church of the Ohio Valley in Bellaire, OH in Belmont County. Headed by Patricia Jacobson, FaCT-OV often works in alliance with the local peace group in the Belmont County, Wheeling, WV area. Athens, OH. A number of members of FaCT-Athens have been working on the Athens County Community Bill of Rights Project. Recently ballot petitions were turned in to the Athens County Board of Elections. The campaign will now be under way to make sure the issue is approved by voters. Want to Become a Chapter or Affiliate?